Guy Ordway is a seasoned ski instructor who set up Element Concept Ski School in Verbier alongside of Emma Cairns. Having skied in all conditions that mother nature has thrown his way, who better to share their thoughts on how to deal with the extremities that visitors have been experiencing in resort these past few weeks?….Ski In Luxury brings you the advice of the expert in his own words. “After a barren Christmas and New Year winter has hit the alps with enthusiasm and we’ve seen snow falls on an unprecedented scale. Now, whilst this is amazing news it poses a pretty important question – how do we deal with the terrible visibility that comes when it’s dumping? The irony is that we all pray for snow when we go on a luxury ski holiday, but we also all hope the actual process of snowing is over and done with by the time we step into our skis… After all, skiing in flat light isn’t easy and doesn’t seem much fun. But it’s not always a tough as it seems. When the going gets tough the temptation is to temporarily forget everything you normally do in a turn. You can find yourself trying out new and largely unpleasant movements to get down the hill – we lean back, try to use our upper body to swing us around, we usually become rigid and when we do turn we rush everything. What we really need to do is take a deep breath and concentrate on all the movements we’re used to making. Just our normal skiing. Start with the simple things and trying to take your time through the turn. I find it’s really important to have a familiar focus in every turn – pick something that will keep you centred and stop you sitting back or rushing the turn. Maybe it’s to press on your big toes, feel for your shin in the boot, tense your core, or perhaps make a strong, distinct forward pole plant. Just keep it simple and keep focused on what you know. Bad weather really underlines what you’ve heard ski instructors telling you for years – a strong, centred body position is the secret. The fabled “ready” position. When the sun’s out and the pistes are corduroy you can get away without it. But when the clouds come in your best friends are a strong core and a pair of flexed legs. You legs are your suspension, they can bail you out when you hit unexpected bumps (or stretch out when the ground seems to drop away with little-or-no warning). Your core helps keep your upper body stable, centred and disciplined. When you allow yourself to get off-centre – almost always in the “backseat” with your centre of mass over or behind the heels – you can’t react to unseen changes in terrain. They just throw you upward and backwards (and massively increase your risk of embarrassment and/or injury). Yes, when your technique is under pressure and you’re starting to doubt your ability to ever find resort again, it’s time to just cheat. It’s also useful to simply stay below the treeline. A white-out refracts all the light falling on the snow – effectively lighting it perfectly from every angle, hence no shadows and no depth perception. Trees (and rocks, buildings, lift pylons and even other skiers) block that light allowing shadows to form – and our brains are wired to use these clues to judge speed, slope and terrain. Piste markers are great too, they instantly tell you the gradient and width of the slope – plus if you’ve accidentally strayed onto a black. When all is said and done, the only person who can get you down any slope is you – all the encouragement in the world doesn’t change the fact that you are the one in control. So stay positive, don’t listen to the little voice that says “you can’t do this”. Because if you listen carefully there’s another little voice in your head telling you to have faith in yourself. Element Concept also run Ski Performance Clinics, Women’s Off-Piste Camps and Ski Instructor Training through the season. Check their ski school website or alternatively email Emma for further information. 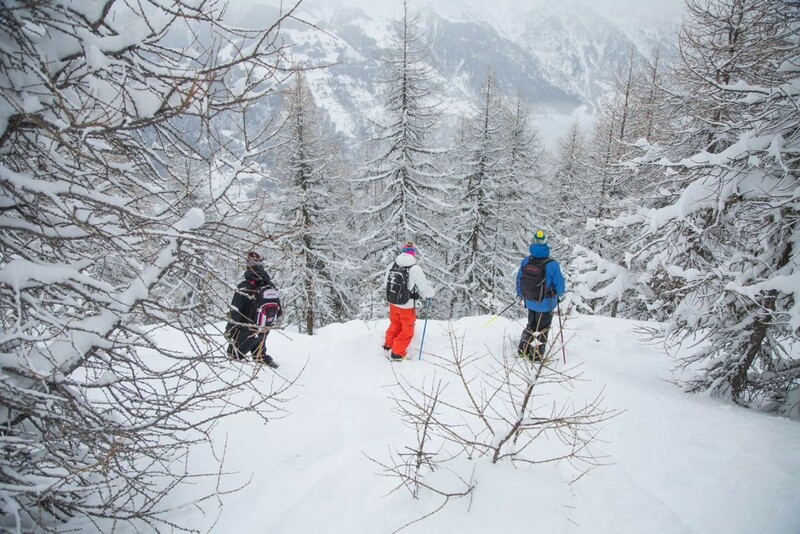 Obviously first class ski instruction goes hand in hand with first class chalets in Verbier. If you are seeking a luxury chalet in Verbier we feature over 80 properties of differing budgets and offering a range of facilities and covering a variety of tastes. Get in touch with our team of luxury ski experts to discuss your plans further on +44 1202 203650.